Hi, I am Mrinal Purohit and I go by iammrinal0 on the interwebz. I am an undergraduate in Computer Science from Amrita School of Engineering, Coimbatore. I used to dabble with Python, writing scripts, cli and web apps to solve trivial tasks. I have tried my hand at desktop application development, Windows 10/Windows Phone app development, however I am drawn to the Web. 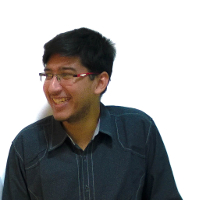 To check out my projects, head over to GitHub. I was at GeekSkool for quite some time where I fiddled with Python, a bit of Haskell, and contributed to a language called Clean. Currently, I am fascinated by functional programming and am learning Haskell/PureScript while being a developer at Juspay writing PureScript. When I am not wasting time, I solve Sudoku, moderate the Windows Phone subreddit, solve a problem or two on Codewars, and listen to music. Want to collaborate on a project or get in touch with me? The best way is Twitter or mail.